Have you ever wondered why the Empire State continues to appeal to seasoned travelers and locals alike? First and foremost, get the most out of your visit to this landmark and stay in a boutique hotel near the Empire State but also shares the character loved by millions worldwide. 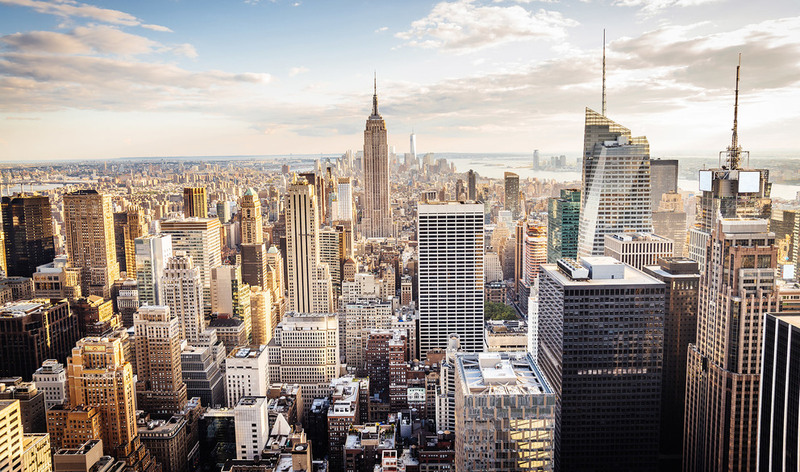 Look no further and find out why the Royalton Hotel and the Empire State are the perfect combo. When entering the historic lobby of the Empire State Building, it’s hard to imagine that when it was opened in May 1931, not even a year had passed since the worst financial disaster in New York’s history. But, then again, the towering building represents a rise from the ashes, a rebirth of sorts, and a symbol of resilience in times of hardship. A time capsule in itself, the Empire State is a passage to the era of Art Deco: a time when the United States was reaching towards the sky. Although Freud might have had a thing or two to say about the mere size of the skyscraper, it’s undoubtedly a gem of engineering and modernity that influenced architecture worldwide. The building’s interior is even reminiscent of the Royalton’s famed lobby, with its dark corridors and sophisticated 1930s vibe. Luckily, all you have to do to reach the Empire State from the Royalton is walk for 15 minutes down 5th Avenue and you’ll find it just after 34th St. While many visitors might be dissuaded from braving the hordes of tourists that pack the 86th and 102nd observatories every single day of the year, we urge you not to throw in the towel. A few extra dollars translate to express tickets, faster queues, more time for exploring the exhibits and VIP treatment – you know you want it. Another way to approach your visit is to make it a culinary adventure. The State Grill and Bar is set apart from the fast food eateries crowded with budget travelers. Instead, treat yourself to a high-end, American-style meal made with the finest local produce and revel in the restaurant’s iconic design. Once you’re stuffed and merry, make your way back to your comfortable room at the Royalton or head for a nightcap at Bar 44, but remember to look back at the Empire State for the daily nighttime display of Tower Lights. 350 5th Ave, between 34th St and 33rd St. Everyday from 8am to 2am. Don’t bother taking public transport - it will probably take longer for a bus or subway to arrive than it would be to take the 0.7-mile walk from the Royalton. Premium Experience – 86th and 102nd Floors and Sunrise at ESB. Any visit to New York City demands that you go beyond the touristy attractions and you’ll need a well-located hotel like the Royalton to use as base. What’s more, by booking directly with us, you’ll be treated to special rewards that range from Broadway deals to shopping discounts and gourmet experiences.